Stephen Harper's campaign against science has reached a new low, as research scientists say a century of environmental research has been ordered to landfills and incinerators following the closure of research libraries. Despite insistence from the government that documents were scanned and are available digitally, scientists with the Department of Fisheries and Oceans, who spoke with The Tyee on the condition of anonymity, say important documents, including a 50-volume set of the HMS Challenger's 19th century expedition logs, which recorded observations of marine life and sea conditions, are now lost forever. Nine of eleven libraries across the country were closed and their contents – all paid for with public money – loaded into trucks and hauled away, allegedly to be scanned and made available online. Dalhousie University biologist Jeff Hutchings and University of Alberta water ecologist David Schindler compared the burning of books to the similar acts during the rise of fascism in the 1930s. "It must be about ideology. Nothing else fits," said Hutchings. Completing the comparison to 1984's 'memory hole', the documents were not recorded in a list prior to their destruction, so nobody can be sure how much was scanned and what precisely has been destroyed. 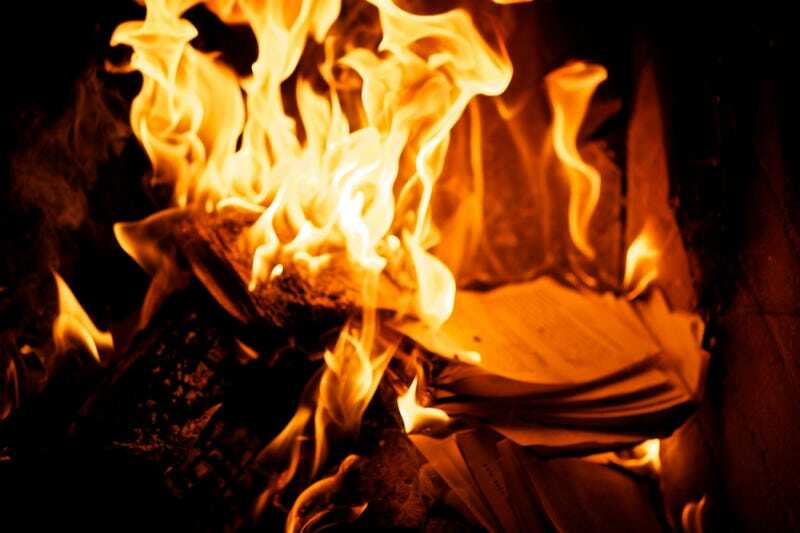 Whatever your position is on climate change science, environmental research, or evidence-based policy, removing and burning irreplaceable documents to erase recorded history to further political objectives is unforgivable.